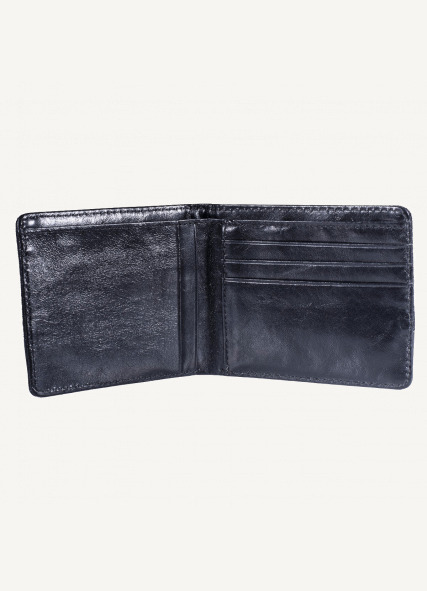 Black cotton canvas and cow hide leather wallet. 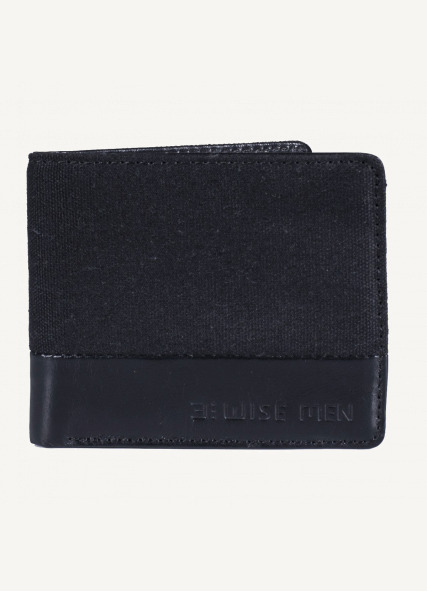 Billfold section and plenty of room for credit cards. Put your money away.